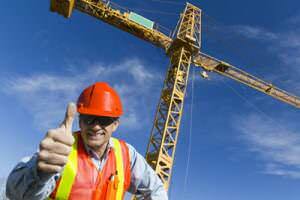 There is nothing more important than the safety of your employees, contractors and workmates. We have 18 years experience in delivery of vocational education and training. Our goal is to deliver the highest quality health and safety training so that learners are fully equipped to meet workplace requirements. If you are looking for a health and safety training for yourself or your staff from a training provider with a reputation for quality and integrity, please contact our friendly and professional training advisors. This course has been designed for frontline managers, team leaders and supervisors with responsibility for managing the health and safety of others in the workplace. The course does not currently cover the harmonised WHS legislation which is in force in other states of Australia. The workshop duration is 2 days. Our public workshops are located in Perth at our training centre. No qualifications are necessary to participate in this workshop. However, a reasonable level of reading and writing ability is required, as well as basic computer skills. To complete the assessment component of this course, you will need to be working in an organisation where you have responsibility for leading a team, addressing customer needs and coordinating business resources. Participants may be required to complete some work at home following Day 1 of the course.